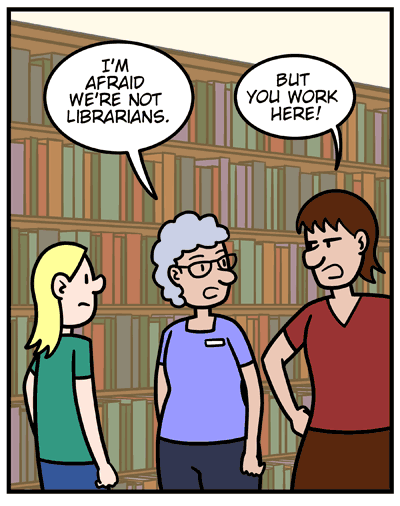 Mildred: I’m afraid we’re not librarians. Patron: But you work here! Luke: We put the books on the shelves. 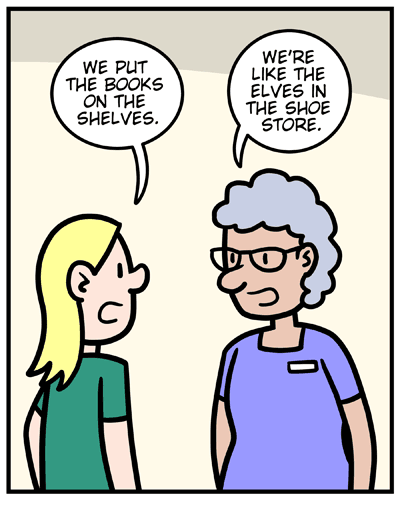 Mildred: We’re like the elves in the shoe store. Luke: Only we don’t work at night. 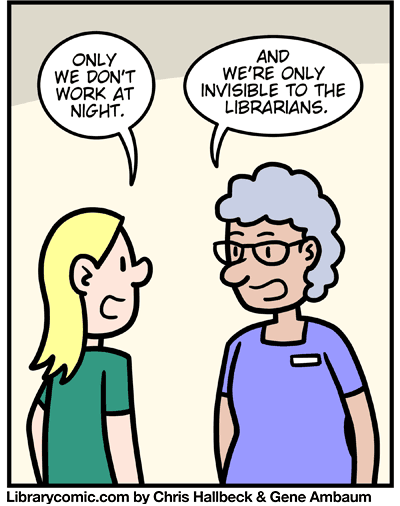 Mildred: And we’re only invisible to the librarians. 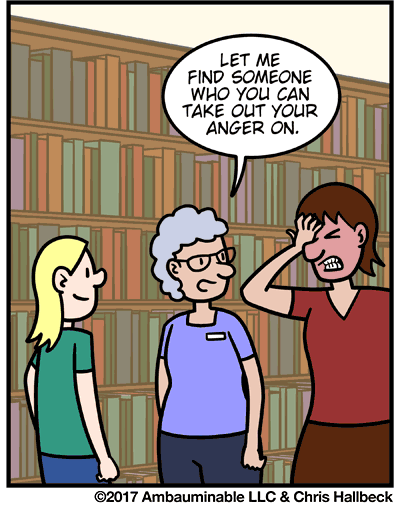 Mildred: Let me find someone who you can take out your anger on. We are Pages. 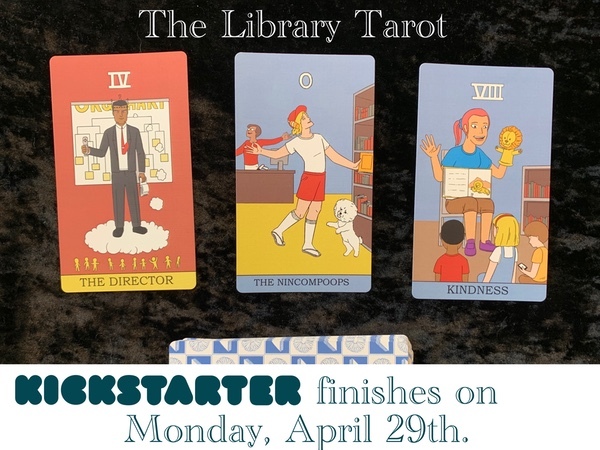 If you are a Collection Services Page, you are invisible to everyone but librarians.